The dream of completely autonomous transport capsules that take us from A to B on the most efficient path is already reality – not on the street, however, but in modern skyscrapers. Today highly intelligent control technologies lie behind the plain doors of elevators. And what already works impressively in the vertical dimension could soon also revolutionize traffic on our streets. Adopting the Olympic motto “higher, faster, further”, in 2016 it is planned that the world’s fastest elevator will rocket upwards at 1200 meters per minute in the Chinese city of Guangzhou. This means that the Japanese manufacturer Hitachi intends to reach the dizzying speed of 72 km/h with its elevators in the Guangzhou CTF Finance Center. It goes without saying that air-pressure and shake compensation are built in, so that passengers can complete their 43-second journey to the 95th floor without stress. With elevators it’s the same as with cars, however: what matters is not necessarily the top speed but efficiency and the fastest route to the destination. 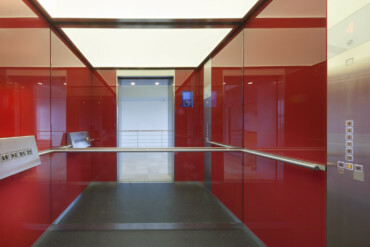 In order to transport as many passengers as possible to their goal in the shortest possible time, the Swiss elevator maker Schindler pays close attention to intelligent control of its products. Schindler developed port technology, which is seen as a pioneering method. For each user of the building, the system calculates the most efficient path to the destination. 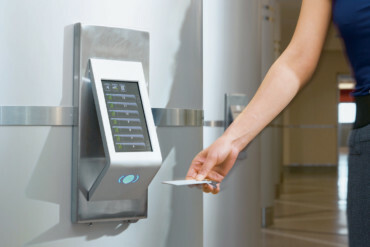 Via a touchscreen terminal, visitors select the desired floor, optionally using an access card, in order to limit use of the elevators. Following data entry, the elevator with the ideal route is recommended to each passenger. The access cards can be personalized to show each passenger a list of his or her favorite destinations. In doing so the intelligent system considers the person’s movement habits independently of the place and time. 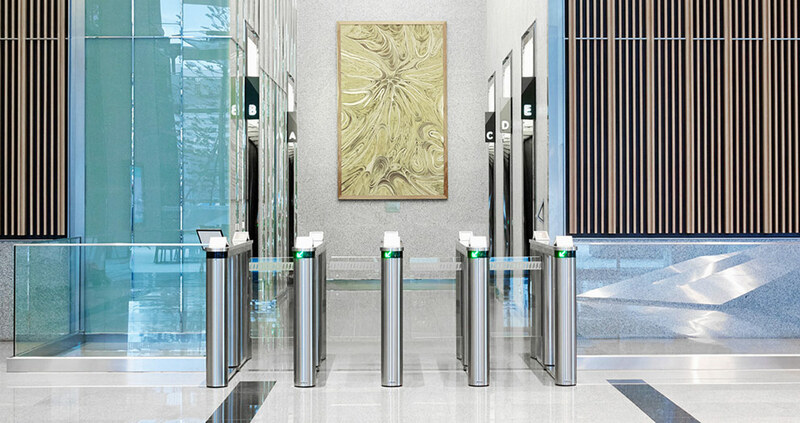 In addition it is possible to program the card so that it only shows the floors that the visitor in question can access or that are relevant for him or her. People with handicaps also benefit from the access cards, as the system allows more time for getting in and out or extra space in the elevator for wheelchair users, for example. The icing on the cake is that passengers can be offered an individual audiovisual experience in the elevator. Both the music and videos on a display can be adapted to the user or to a particular group, in order to create a pleasant atmosphere. The port system also assists in evacuating buildings. At the data entry terminals, instructions can be given to passengers on whether, for example, they should wait for an elevator or use the stairs. 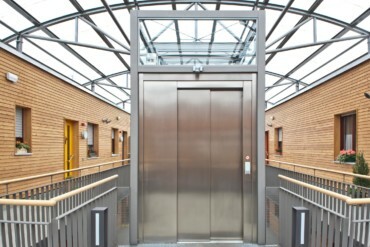 If elevators are used for the evacuation, enough lifts arrive at a floor to enable all persons present to be transported at the same time, as far as possible. The outstanding characteristic of the port system is the collection of all entered data in a central transportation management system. By means of sophisticated algorithms the system can group people who are heading for the same floor. In this way the number of intermediate stops is reduced and passengers reach their destination more quickly. This optimization of efficiency for the whole elevator system also makes it possible to have a smaller total number of elevators in the building and thus ultimately reduces energy consumption. It is an interesting question to ask whether this kind of mobility solution can be transferred from the vertical to the horizontal, i.e. 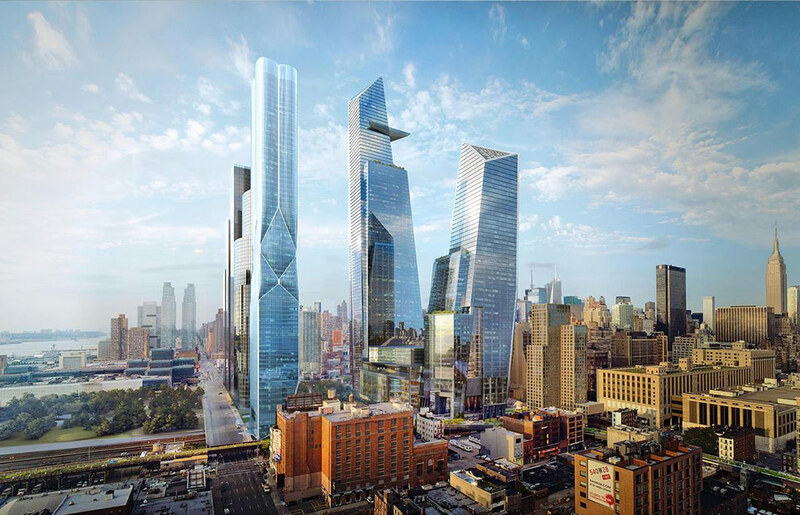 from a high-rise building directly to the streets? Dr. Paul Friedli, an expert in transit management, is concerned with this question. In his role as innovation manager at Schindler AG, Friedli works daily on optimizing elevators and controlling the flows of people in huge building complexes by means of complicated algorithms. As a member of the Berlin team in the Audi Urban Future Award 2014, Friedli is now researching the question of how participants in road traffic, too, can always select the most efficient path. In the coming years cars that drive autonomously and are networked with each other will in fact present completely new ways of optimizing the flow of traffic on the roads. Based on the model of intelligent elevators, a cloud-based transit management system could assist the control of vehicles, so that as many people as possible could be transported as quickly and comfortably as possible to their individual destinations – without accidents, without stress and with on-board entertainment.